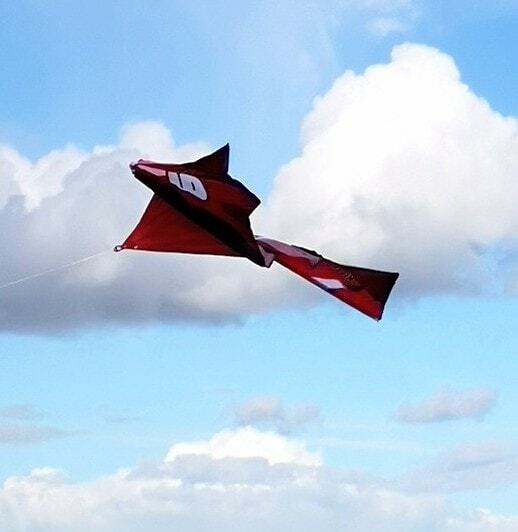 It has been so windy lately, so it was perfect weather to fly our new Kitedrone Red Baron Fusionwing kite. 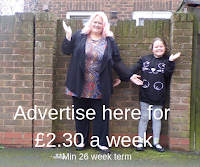 We were sent the kite to review and I thought it would be a great opportunity to get Matilda off her Tablet and get outside, running about. 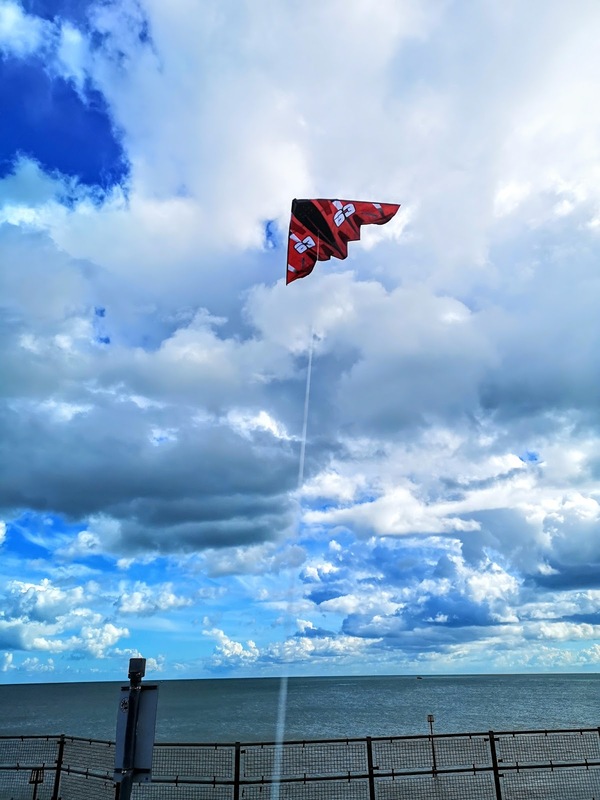 We have had kites before but they usually only last a couple of uses because they are not built for the seaside wind and they snap after a few attempts at flying. When we have flown kites before, we have also had trouble keeping the kite in the air. 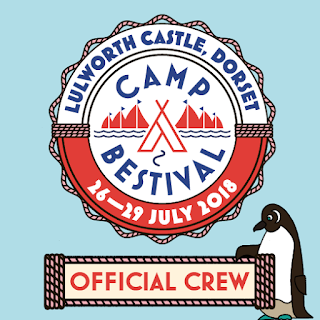 It really isn't as easy as Mary Poppins makes it look, there is a real skill in flying a kite. 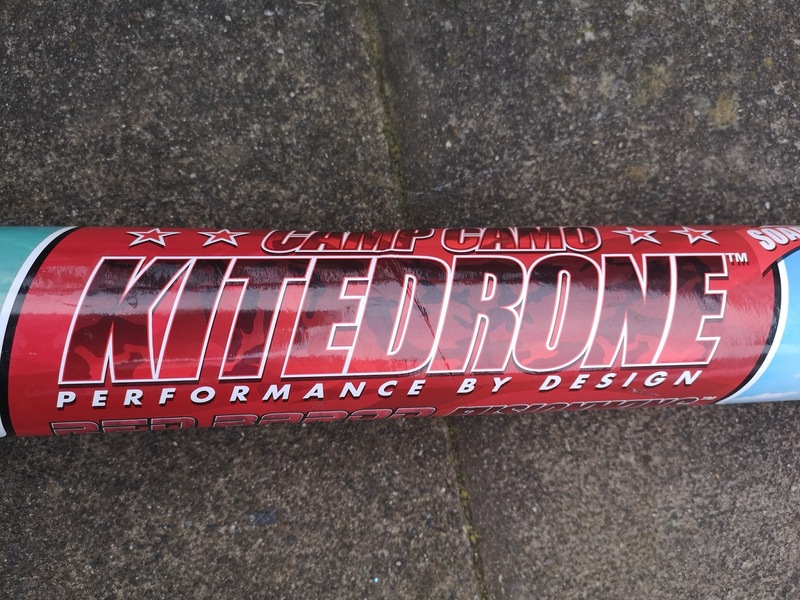 But then we didn't have a Kitedrone, did we? 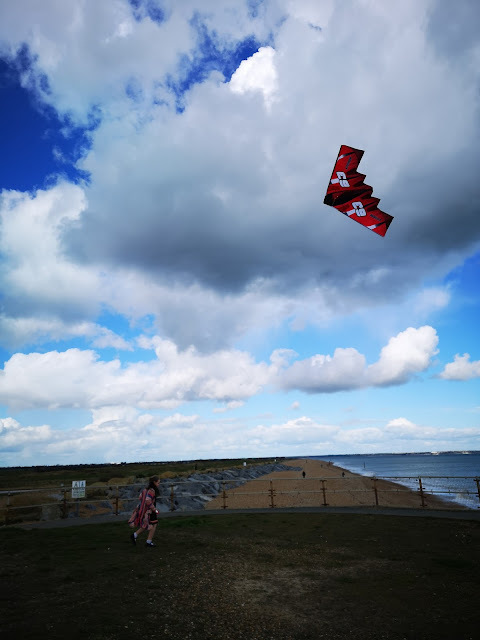 So I got the Kitedrone out and expected to have the same problems with keeping it in the air but this kite totally proved me wrong and it actually had us laughing so much as we enjoyed flying it. 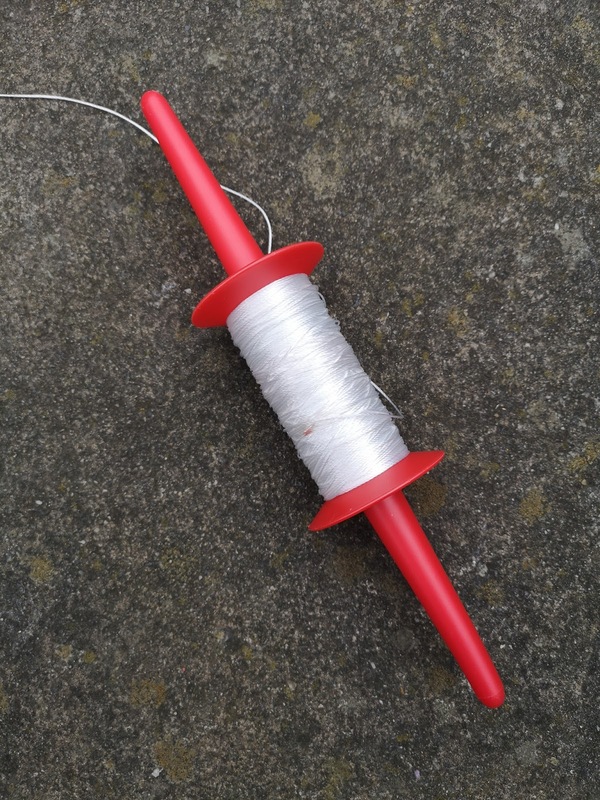 The kite comes in a long tube and all you have to do when you take it out of the tube is clip the kite string on to the kite and add one rod to make the kite up. 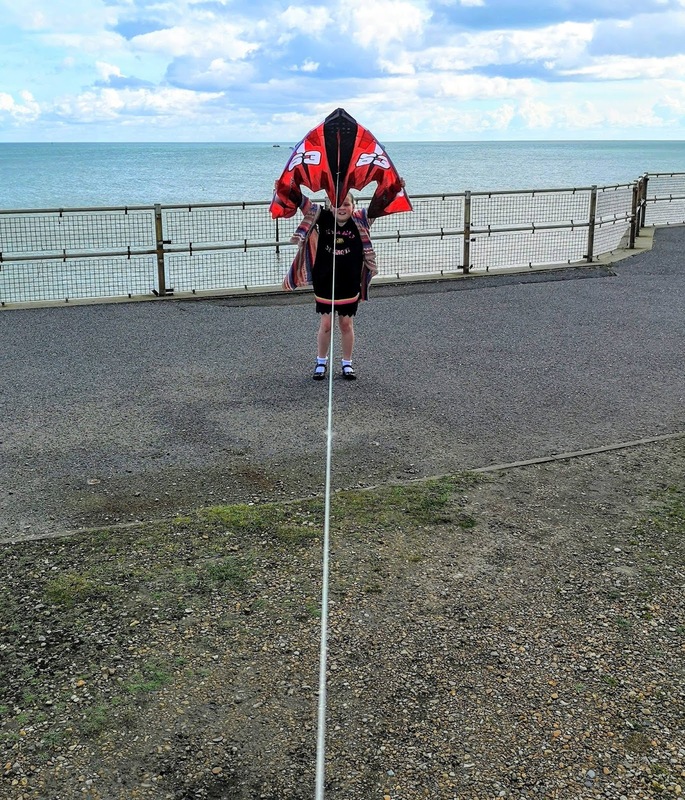 We had trouble putting the rod in because it needs to go in tightly to keep the kite in shape and able to fly. It did take several attempts before I finally got it in place. The kite we were sent was a Kitedrone Red Baron Fusionwing and it has a wingspan of 5 foot, that is the height of me, so you can imagine how big it is when you put it together. The string is long enough for it to fly 300 feet high within seconds of letting it go. The air pockets are on the top and you need to hold the kite in the opposite direction to the wind so that the wind goes into the air pockets. We like the design because it is like an aeroplane, like a Red Arrow. The kite tugs as it flies like I said, so keep hold of the spool handle. 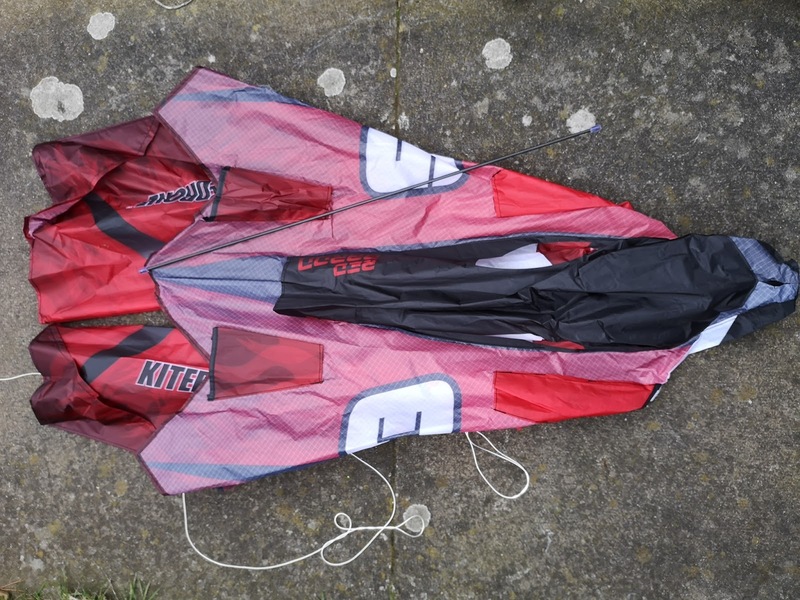 The ripstop fabric that is used is perfect for the kite because it has reinforcement threads woven into it as the fabric is made and it makes it stronger so it won't rip or tear as it soars in the sky and the wind blows it around as it gets higher into the wind. 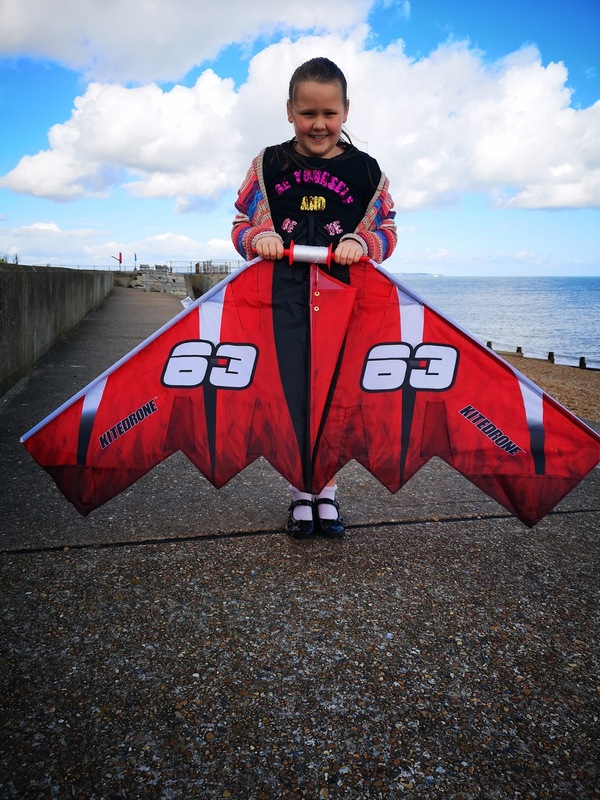 The Kitedrone kites come in a few different designs and can be bought from Argos, Amazon and all good toy shops. Now we can really enjoy flying a kite, because it really is as easy as Mary Poppins makes it look.